I’m debuting a new look for Entry List Storylines in 2018. The objective remains the same – to track the entry list changes from one week to the next, and to preview new names and teams joining the series. For this week’s installment, we’ll focus on the changes made over the offseason in the Cup, XFINITY, and Truck lineup. Efforts will be made to update these articles as more news breaks, so it can be referred-to up to each race. Last year, JTG-Daugherty Racing teammates Chris Buescher and A.J. Allmendinger were classified last in their races due to post-race disqualifications. They moved up from last both Reed Sorenson and Timmy Hill, two Open team drivers who missed the 500 field. GMS Racing has a new lineup for 2018. With Kaz Grala moving to XFINITY, the former #33 team is now #2, bringing on Cody Coughlin and sponsorship from JEGS. Joining him is defending ARCA Racing Series runner-up Dalton Sargeant, who is set to run full-time, and will run the #25 in honor of his childhood hero, the late Tim Richmond. Daytona will mark just his seventh series start. On January 31, Jordan Anderson arrived at the NASCAR Hall of Fame to announce the formation of his own new Truck Series team. Thanks to the efforts of several fans through his SponsorJordan.com campaign, Anderson will field a #3 Toyota full-time in 2018, making the switch from Chevrolet. Bommarito Auto Group, LTi Printing, Lucas Oil, Jacob Companies, and Knight Fire return as sponsors. The team has four trucks ready for the season ahead. With Christopher Bell moving to the XFINITY Series, KBM’s #4 Toyota will now be split between Todd Gilliland, his father David Gilliland, and Busch himself. Todd’s first start will come at Martinsville, and will take on a larger part of the schedule when he turns eighteen in May. The driver lineups for the #46 and #51 will be split among Harrison Burton, Brandon Jones, Spencer Davis, Riley Herbst, and Busch. On January 22, ThorSport announced they would be switching manufacturers from Toyota to Ford, and have acquired several trucks from the closed Brad Keselowski Racing to help with the transition. Matt Crafton returns to the #88 and Grant Enfinger will run the #98. Ben Rhodes will drive the #41, using the Owner Points he collected last year in ThorSport’s #27. On February 7, Myatt Snider was announced as driver of the #13, making the move from Kyle Busch Motorsports and bringing sponsorship from Liberty Tax. On January 23, Premium Motorsports announced that Robby Lyons will run full-time in the Truck Series in 2018. Lyons will drive the #15, a second truck Premium debuted late last season after acquiring the assets from Tommy Baldwin’s joint venture with Stewart Friesen. The other Premium truck, #49, will remain with Wendell Chavous with new sponsorship from Sobriety Nation for the full season. Premium’s fleet of trucks have been prepared by Brian Keselowski, who has tweeted updates over the offseason. With Ryan Truex making the move from the Truck Series to full-time in XFINITY, Hattori’s 2018 driver is Brett Moffitt, as announced on February 7. On a very busy January 22, David Gilliland announced that his own team would merge with the CROSLEY Sports Group to form DGR-CROSLEY. The team has acquired trucks from Red Horse Racing, whose team closed its doors last season. On January 25, it was revealed they would also campaign Red Horse’s former car number, #17. Driving that Toyota in five races will be Chris Eggleston, who hasn’t run Trucks since 2014, but has had great success on Bill McAnally Racing’s K&N Pro Series West team. Justin Fontaine will go full-time in 2018 driving Al Niece’s #45 Superior Essex Chevrolet, and will be teamed with Austin Wayne Self, who joined late last year, in the #22 Don’t Mess With Texas Chevrolet. It will be the third different team Self has driven for in the last year, following turns with his family’s Toyota team and Martins Motorsports. On February 2, it was announced that Max McLaughlin, son of longtime XFINITY Series driver Mike McLaughlin, will also drive for Niece a minimum of four races in 2018. The Halmar-Friesen effort will once again run full-time this year with Stewart Friesen driving the #52. The team will continue their partnership with GMS Racing, which started late last season. Senica has posted several tweets over the offseason, indicating he is not only returning to Norm Benning Racing in the #57 alongside Benning’s #6, but will be running a number of different sponsors: Cowboy Coffee Chew, Betty Lou’s, and Pennsylvania Power Products, Inc. (the latter having sponsored him in the closing months of 2017). On February 6, it was announced that Copp Motorsports' #83 Chevrolet would return in 2018 with Scott Stenzel driving, thanks to a partnership with E2 Northeast Motorsports. Stenzel aims to make his first Truck Series start since 2014, when he finished 33rd in the season finale at Homestead. The series’ flagship Ford team closed at the end of last season, a year which saw both its drivers Austin Cindric and Chase Briscoe go to victory lane. On December 30, just eleven days after a tweet showing off a new engine, Tommy Joe Martins announced that his single-truck operation would be closing its doors. After running a handful of races for JD Motorsports last year, Vinnie Miller will go full-time with the team this year. Ten of his starts will be sponsored by JAS Expedited Trucking, which backed BK Racing’s Cup effort in a few races last year. On February 7, it was revealed Garrett Smithley will return to the team's #0 with Ross Chastain likely to return to the #4. A fourth car, the #15 to be driven by Matt Mills, was announced on February 2, and will debut next week in at Atlanta. On January 24, it was revealed that Richard Childress Racing’s #3 team would see five different drivers: Austin Dillon, Ty Dillon, Jeb Burton, Brendan Gaughan, and ARCA driver Shane Lee. This rounds out a three-car lineup for RCR with Matt Tifft in the #2 Anderson’s Maple Syrup Chevrolet, moving over from Joe Gibbs Racing, and Daniel Hemric, who takes on Gaughan’s sponsor South Point Hotel & Casino for the #21 Chevrolet. Ben Kennedy, who last year made nine of his seventeen starts in RCR’s #2, was on January 30 announced as the new General Manager of the Camping World Truck Series. On January 20, B.J. McLeod Motorsports announced they would retain their three-car lineup from 2017, as well as their Daytona lineup. Joining the #8 of Caesar Bacarella, who ran a handful of races late last season, are Ryan Ellis in the #78 and Ray Black, Jr. in the #99. On January 24, Ellis revealed that Densify Cloud Optimization will sponsor his #78 at Daytona. On January 9, Ryan Truex was announced as the replacement for Blake Koch at Kaulig Racing. Truex makes the move from Hattori Racing in the Truck Series. To mark the occasion, Truex has updated his popular “go ryan” t-shirts to show his new ride. While JGR’s #18 will see most of its schedule go to Cup regulars, Ryan Preece will make ten starts this season with sponsorship from Rheem. He’ll be teamed with Brandon Jones, who moves from RCR to drive the #19 Menards Toyota, and Christopher Bell, who after splitting time with Trucks last year goes full-time in the #20. JGL Racing brings back the #28 team which suspended operations after last September in Kentucky, leaving Dakoda Armstrong without a ride. The car, which also makes the switch from Toyota to Ford, will be driven by Dylan Lupton, who ran JGL’s #24 in fourteen races last year. On February 7, thinQ Technology Partners signed with Lupton's #28. Driving the #24 this year is Kaz Grala, who makes the move from GMS Racing’s Truck Series team. In addition to their Cup Series effort with Matt DiBenedetto in the #32, Go FAS Racing team owner Archie St. Hilaire is returning to the XFINITY Series for the first time since the 2013 finale at Homestead. On January 5, the team announced that the new #35 will be driven by Joey Gase, who brings with him sponsorship from Sparks Energy, Inc. His vibrant paint job, as well as Ryan Ellis’ aforementioned Densify #78, were both designed by Go FAS Racing’s artist David Marrero. For Gase, things go full circle – Jimmy Means Racing, which he left at the end of 2017, hired him from Hilaire’s XFINITY team in 2012. After exceeding expectations in the Truck Series with his father’s team, NEMCO Motorsports, John Hunter Nemechek has landed a part-time effort with Chip Ganassi Racing’s XFINITY effort for 2018. Announced on December 12, Nemechek, who brings with him sponsorship from Fire Alarm Services, Inc., will share the ride with Cup regular Kyle Larson. Joining the XFINITY Series in 2018 is JP Motorsports, founded by Jerry and Phyllis Hattaway from California. Announced on January 18, the team acquired cars from TriStar Motorsports. The team made the announcement on January 22 that Stephen Leicht would drive the #55. A second team was revealed February 5 with Josh Bilicki driving full-time with returning sponsor Prevagen as his full-time backer in the #45. On February 7, Jimmy Means Racing announced that David Starr will drive the #52 Chevrolet this year, replacing Joey Gase, who was released at the end of 2017. Last year, Starr drove the B.J. McLeod / SS-Green Light #99 in XFINITY and rounded out the Cup schedule with Motorsports Business Management's #66. Roush-Fenway Racing’s driver development car sees Ty Majeski once again in the lineup after his debut season last year. Joining him to divide up the season are Austin Cindric and Chase Briscoe, both moving from the Truck Series after the closure of Brad Keselowski Racing. Cindric is the team’s listed driver for Daytona, and will run four of the season’s first five races. From there, Cindric will split the season between the Roush-Fenway #60 and either the #12 or #22 from Penske Racing, patching together a full-time effort between the two teams in a similar manner to the late Joe Weatherly in the 1963 Cup season. Mike Harmon returns with his Dodge this year. On February 7, it was revealed that another military initiative will be on the hood, the Shadow Warriors Project. SS Green Light Racing’s #07 is now the #76. Driving in place of Ray Black, Jr., who is now running Cup for Rick Ware Racing, is Spencer Boyd, who brings with him sponsorship from Grunt Style, which backed him in a few races last year. (UPDATE: Feb. 9) Brandon Brown's family team returns to XFINITY for the first time since 2016. Brown's #86 Chevrolet for Daytona has several associate sponsors, including ConoCoin, Brio.TV, the Dan Marino Foundation, and True Timber. 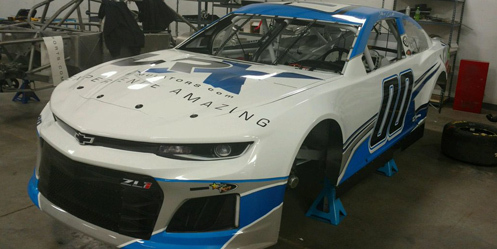 On January 24, RSS Racing announced they would continue their three-car lineup from late 2017 with both Ryan Sieg and defending LASTCAR champion Jeff Green among the three drivers. On January 26, it was revealed that Ryan Sieg would drive the #93, as he did last year at Homestead, and landed a twelve-race sponsorship deal from Code Rum, the Homestead sponsor. Stewart-Haas Racing has partnered with part-timers Biagi-DenBeste Racing in 2018 to form “Stewart-Haas Racing with Biagi-DenBeste.” As a result, Kevin Harvick will be in the team’s #98 for five races, starting in Atlanta, and teammate Cole Custer in the #00 will receive added support for his full-time effort. On January 18, PPM announced they would be shutting down their XFINITY Series program. Quin Houff, who drove in many of the team’s starts last year, will be competing in ARCA. Posted just yesterday, February 8, the preliminary entry list for the Daytona 500 stands at exactly 40 cars, marking the first time in the race's 60-year history that not a single car will fail to qualify. As of this writing, the list includes BK Racing's #23 as team owner Ron Devine still holds the team's Charter. However, with continuing reports of financial troubles and legal proceedings, it's yet unclear whether that team will actually race. If they miss out, and no other team takes their place, the resulting 39-car field will be the smallest in 500 history. Released by Stewart-Haas Racing at the end of last season, Patrick announced she would run the Daytona 500 and Indianapolis 500 in 2018, then retire. On January 18, GoDaddy returned from a two-year hiatus to sponsor Patrick’s effort, and on January 22, Premium Motorsports hired Patrick to drive. She will run car #7, the same number she raced in IndyCar with Andretti Autosport as well as the XFINITY Series. She will also be locked-in to the 500, thanks to Premium’s Charter for the #15, run for much of last year by Reed Sorenson. And she’ll have a pit crew trained by Richard Childress Racing. After two seasons running Hendrick Motorsports’ #24, Jeff Gordon’s heir-apparent will now run the #9 his father Bill made famous at Melling Racing, and Chase himself drove to the XFINITY Championship. Elliott retains his Owner Points from 2017 earned in the #24. After six full seasons with Richard Petty Motorsports, Aric Almirola and sponsor Smithfield have made the move to Stewart-Haas Racing, replacing Danica Patrick. For the first time since 2010, Penske Racing returns to three full-time Cup teams. Joining Brad Keselowski and Joey Logano is Blaney, a lateral move from his Penske-supported ride at Wood Brothers Racing. Blaney is locked-in this season thanks to the Charter acquired from Greg Biffle’s shuttered #16 team at Roush-Fenway Racing. The defending Rookie of the Year, Jones makes the move from Furniture Row Racing’s second team (now closed) to the second-oldest team at Joe Gibbs Racing. Jones replaces Matt Kenseth who, unable to secure a quality ride after five seasons in the #20, is not expected to race this season. With Ryan Blaney moving to Penske Racing, Paul Menard will take his place at Wood Brothers Racing. Menard makes the move from Richard Childress Racing’s #27 Chevrolet, which he’s driven every season since the team debuted in 2011. Sponsorship from Menards has followed the driver to the #21, as well as Blaney’s #12. On January 15, it was announced the team will hold the Charter from Go FAS Racing’s #32. With Chase Elliott running the #9, defending XFINITY Series Champion William Byron takes the controls of Hendrick Motorsports’ #24 Chevrolet. The team will use the Charter and Owner Points from Hendrick’s #5, the team’s very first car number in 1984, which ran its last race at Homestead. After a difficult 2017 season in spite of acquiring a Charter from Circle Sport (#33) and sponsorship from Hulu, The Motorsports Group is once again an Open team in 2018. Circle Sport pulled its Charter on December 12, and Hulu pulled its funding. 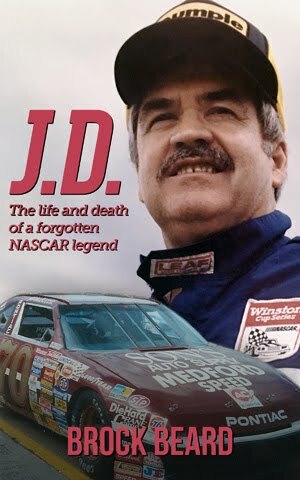 As of January 7, Earnhardt was still looking for sponsorship for 2018. 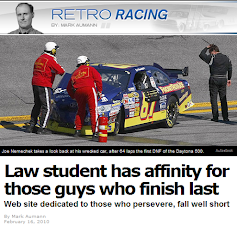 Sponsorship was found by January 30, when it was announced he’d be moving to StarCom Racing for the Daytona 500. As of this writing, the team's status is unknown. They are not entered in the Daytona 500, and are not expected to run the remaining three restrictor-plate races unless a sponsor is found. They do, however, plan to run the remaining 32 races, starting next Sunday in Atlanta. With Go FAS Racing’s Charter leased to Wood Brothers Racing, the #32 team has entered into a partnership with Circle Sport, which parted ways with The Motorsports Group’s #33 Chevrolet of Jeffrey Earnhardt last season. A new David Marrero paint scheme was revealed on February 6 where DiBenedetto’s #32 will promote the upcoming Rob Cohen film “The Hurricane Heist” in the Daytona 500. After parting ways with Leavine Family Racing’s #95, McDowell moves to the Front Row Motorsports #34, replacing Landon Cassill. The team retains sponsorship from Love’s Travel Stops, and also welcomes K-LOVE Radio, which has sponsored McDowell for much of the last decade. The K-LOVE scheme will run in five races in 2018. 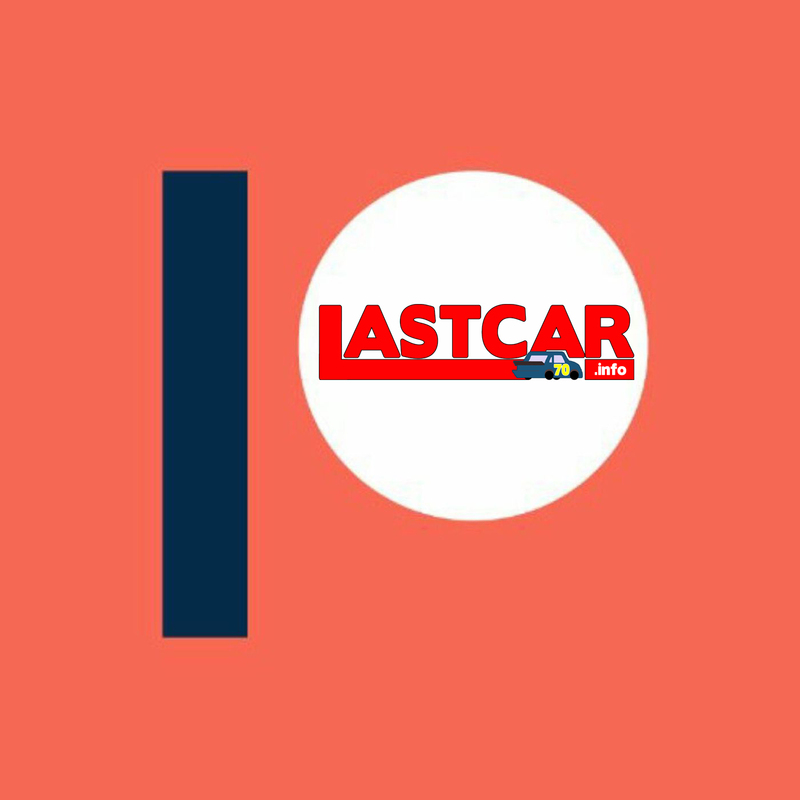 Chris Buescher remains with JTG-Daugherty Racing for a second season, but his leased Charter from the #16 Roush-Fenway Racing team has since been moved to Penske Racing’s #12. Buescher will still be locked-in, however, as JTG purchased the Charter from the closed #77 Furniture Row Racing team. Leading off the backers for Ragan’s ride at Front Row Motorsports is speedco, revealed on February 5. The Target branding that has been with Chip Ganassi Racing in both open wheel and stock car competition for years has now left the team completely. In its place, Larson’s sponsors will include CreditOne and DC Solar, the latter shared with teammate Jamie McMurray. With Aric Almirola moving to Stewart-Haas Racing’s #10 and taking Smithfield’s sponsorship with him, Darrell “Bubba” Wallace, Jr. returns to Richard Petty Motorsports for the first time since his relief duty with the team last season. On top of returning sponsorship from the U.S. Air Force and STP, Click ‘n Close has come on to back the car at Daytona. The team has also switched manufacturers from Ford to Chevrolet, thanks to a new partnership with Richard Childress Racing. The team has also leased its Charter to Rick Ware Racing, and will instead use the Charter from RPM’s second team (#44) that closed at the end of 2016. Ray Black, Jr. drove the Rick Ware Racing #51 in a few races last fall, and was originally reported to be returning to the team for a Rookie of the Year bid in 2018. On February 2, however, it was revealed that Justin Marks will drive in his place with sponsorship from Harry’s Shaving Products and Katerra. Marks last ran Cup at Talladega last fall, when he crashed early and finished last. Marks will run only a limited schedule for Ware in 2018, leaving the remainder of the schedule open for other drivers. The Ware #51 also has additional sponsorship from Keen’s Buildings, which signed on January 22, and have leased a Charter from Richard Petty Motorsports’ #43, locking them in after being an Open team last year. In addition, the Ware team will field a second car in eight to ten races this season. Ware’s #52 will be driven by some of his 2017 roster, including B.J. McLeod, Cody Ware, and Kyle Weatherman, plus road racer John Graham, who eyes his Cup debut. As of this writing, this second Ware car is not entered in the Daytona 500. On January 8, it was revealed Gaughan and Beard Motorsports will return to run the same four-race restrictor-plate schedule in 2018. Per the paint scheme release on January 10, the team changes car numbers from #75 to the #62 that Gaughan drove for much of his Truck and XFINITY Series careers. The car will also carry sponsorship from the Gaughan family’s South Point Hotel & Casino in a new, more vibrant paint scheme. After last year’s Cup debut, Carl Long’s team Motorsports Business Management returns to action this year. The team has acquired at least one Ford from Richard Petty Motorsports to drive at Daytona. Behind the wheel will be Mark Thompson, who last fall at Talladega made his first Cup start since 1992. Thompson does not have a Charter, and will look to improve on his short run before a crash last fall. Expect Carl Long and Timmy Hill to run the team’s Chevrolets in selected races later this year. After a difficult rookie season with BK Racing, Corey LaJoie revealed on January 22 a Chevrolet he would drive in 2018. On February 6, it was revealed that car was TriStar Motorsports’ #72, which he will share with Cole Whitt in 2018. Whitt stated he’s going to scale back to a part-time effort in order to spend more time with his family. LaJoie will drive the #72 at Daytona with sponsorship from Schulter Systems coming over from LaJoie’s time at BK Racing. The team remains locked-in with the leased Charter from Front Row Motorsports. Alex Bowman returns to full-time Cup competition, driving in place of the retired Dale Earnhardt, Jr. in the Hendrick Motorsports #88. Bowman, who struggled through two seasons with BK Racing and Tommy Baldwin Racing, enjoyed a breakout performance relieving Earnhardt at Phoenix in 2016, and also finished 3rd in his first Clash appearance last year. On January 30, it was announced that Valvoline will sponsor the #88 team in two races for the next five years. On January 17, it was announced that Ricky Benton Racing, a part-time Truck Series team, will attempt to make their Cup debut in the Daytona 500. Selected to drive is David Gilliland, whose plate race expertise includes a pole in the 2007 Daytona 500 and a runner-up at Talladega in 2013. As in Trucks, the team will run a Ford with sponsorship from Black’s Tire and Auto Service and Carquest Auto Parts. They do not have a Charter. The #92 hasn’t started a Cup race since 2011 at Bristol, and hasn’t made the Daytona 500 since that same season, when Brian Keselowski drove a rebuilt Evernham Dodge from 2006. Released by Hendrick Motorsports after six years in the #5 car, Kahne moves over to Leavine Family Racing, replacing Michael McDowell. The team’s Camaro also has a new look this season, the “Lightning McQueen” style yellow numbers replaced by a new font. Sources indicate Kahne was one of many personnel changes at LFR over the offseason. Some of the sponsors which came aboard the previous year, including Procore, have returned for 2018. Gaunt Brothers Racing broke through last year as the team and Canadian driver D.J. Kennington made their first starts in the Daytona 500. 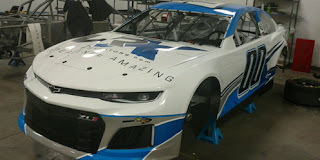 After subsequently failing to qualify at Talladega, GBR scaled back, and Kennington pieced together a partial schedule with Premium Motorsports. Now, for the first time since last fall’s Truck Series round in Mosport, driver and team are back together, and again looking to make the 500. In this announcement, made January 22, they will have to do so as an Open team. Cope and his new start-up team, StarCom Racing, return to action in Daytona after starting two races late last year. This time, they have a Charter, as on January 24 it was revealed they have leased the Charter from RCR’s #27 team, formerly driven by Paul Menard. What looked to be Cope’s first appearance as a driver in the Daytona 500 since 2004 changed on January 30, when it was announced that Jeffrey Earnhardt will be coming over from Circle Sport with The Motorsports Group to drive the #00 at Daytona with sponsorship from VRX Simulators. Following the retirement of Dale Earnhardt, Jr. this will mark the 40th straight 500 with an Earnhardt in the field. 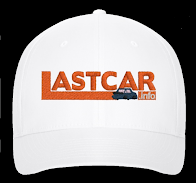 Setting aside Dale Earnhardt, Jr.’s retirement and Matt Kenseth electing to miss his first Daytona 500 since 1999, Cassill and Starr are two drivers from the 2017 Cup finale at Homestead not entered in this year’s Daytona 500. While Starr has since landed an XFINITY Series ride with Jimmy Means Racing, Cassill lost his ride in the Front Row Motorsports #34 to Michael McDowell, and has yet to be picked up. Richard Childress announced he would not be fielding the #27 Chevrolet that Paul Menard drove from 2011-2017. Menard and his sponsor have moved to Wood Brothers Racing while the Charter has been leased to StarCom Racing. The second FRR team closed at the end of the 2017 season, and its Charter was sold to #37-JTG Daugherty Racing. Erik Jones now drives the #20 from Joe Gibbs Racing. Only one time in NASCAR history has the last-place finisher of a points race fallen out because of a “battery” issue. It happened on July 1, 2000, when the NASCAR Craftsman Truck Series raced at the Milwaukee Mile for the Sears DieHard 200. Finishing last that day was Bonham, Texas native B.A. Wilson, who pulled off the track after 33 laps in his #73 Sonntag Redi-Mix Chevrolet.